I try to help everyone in my daily life, and one of my favorite things is shooting ideas from the hip. Some are creditable and some seem completely mad….either way doing something is always better than doing nothing. I suggested to someone a while ago to have a vision board and they had no idea what I was talking about. The topic of a vision board also came up during one of the many networking meetings I went to. So in this blog, I am going to show why you would want one, how to make one and will explain how they work! So what is a vision board? A vision board is a set of images, notes, inspirational quotes or clippings that are located somewhere for you to look at every day. It’s a bit like a cartoon story board, but for life. Some like to have their vision board in their place of work, where they can see it at all times. There are different types of vision boards, but I am talking about a desire type of vision board. This is designed to help you achieve everything you want out of life. A vision board should be the center of everything you want to be, desire, achieve and to have in your life. Your vision board is extremely personal and something which you can’t just copy. The images, quotes and anything else included on your vision board should be your true desires and represent everything you dream for. It’s a daily reminder of what you want out of life for yourself, and possibly your loved ones around you. Why would you have one? I would reply, “Why not? What harm can it do?.” If you have ever been to my office, you will see I have a very simple one. I have 3 sheets of paper on the wall. The first sheet is my business for sale. It details turnover, profit and the eventual sale price. The second is the car I will buy when I sell the business and then the third one is the house I would put a deposit on with the change of buying the car. Now mine is very narrow but it works. When it’s hot outside and my friends are in a beer garden, I look at my vision board and it motivates me to stay and get the job done! Your vision board may be to keep you on track, have a sense of a target or even something to dream about on a stressful day. Nothing wrong with having dreams right? How do you start building a vision board? A source of images – Internet, magazines, photos showing any image of what you want. This is a lot of fun! Seriously, the sky is the limit. I would advise you to sit down and really imagine where you would like to be, what you want to be and most of all how you feel about getting everything you truly desire. You need to make sure you have no distractions, turn off the TV and switch off the phone. This is all about YOU! Like all projects, I always say start at the end. Imagine what your life looks like and then work back from there. Build a list of everything you want. Forget about the images or statement to be too big or unachievable. 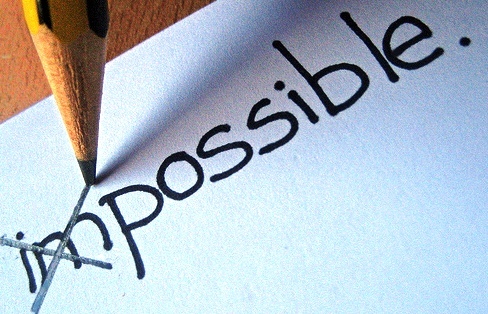 Do a real brain dump of absolutely everything you want. I would suggest making a large pot of your favorite coffee, tea or open your favorite bottle of wine, and scribble down everything! Get as many magazines, images, quotes or statements as you can to match or represent everything your heart and soul desires. You can do this in stages, and you may not find the perfect image which matches what you want, so always be on the lookout for the nice things you are looking for. Go for it….Don’t hold back. GET MORE THAN YOU NEED. Don’t forget to clip out any words to text that you find positive, and anything which makes you smile. You then need to go and find a space big enough for you to stick all your images to. You can buy a poster board, or canvass, but simply making a space on a wall is good enough. Just remember the location is important. Then find a really nice photo of yourself. Make sure it’s a good one! Nothing from bad hair days or hungover from the night before….A really nice photo of you at your best! (I’ll come back to why later). 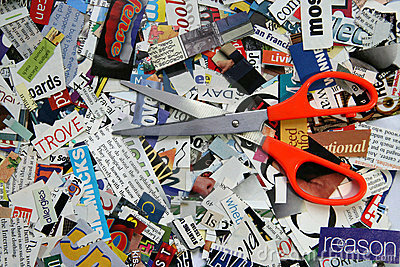 Now that you have all your desires in text or images, start taking out anything which you are not really interested in. Make sure the images you have are what truly represent what you want. If you have two or three images of the same thing, then it is clear that’s what you’re looking for. You have to try and keep hold of your dream here, but be clear about what you REALLY want. Now start sticking these chosen images to the outside of the board or space and leave the centre empty. If you are someone who likes things to be formal and really organized, you can have images of health in one area, wealth in another, happiness in one corner and so on. I would just suggest getting started and making it happen. Once you have everything you truly desire stuck to your vision board, place the good photo of yourself in the centre. The idea behind this is that when you can see yourself, surrounded with images of the things you want and who you want to become, the house you want to buy, the holiday you are looking for… your mind is tricked into thinking that you must have that lifestyle. It may take a while, but if you are truly dedicated to everything you want out of life then your whole life will start to work towards the goal you have set yourself. You only get one life, why settle for second best? I’d love to hear if you have had any experience with building your vision board, or if you want any advice. Give me a call or drop me an email.